We are smack dab in the middle of our study of ancient Egypt. If you've followed along on my blog, then you may know that A has been fascinated by Ancient Egypt since she was 3! In fact, several Halloweens ago, she was the ancient Egyptian God of embalming- Anubis. That was fun! Oak Meafow grade six spends only two weeks on Egypt but well, we just need more time! So we will be spending 3 to 4 weeks on it. A is also taking an online class from G3 called the Horrible Histories of Rome and Egypt. 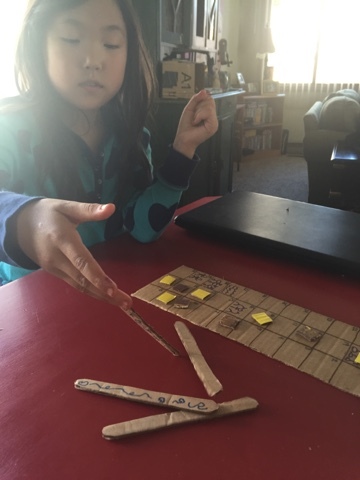 She is loving it, and it is a nice addition to our ancient civilizations studies. She just finished reading both the Horrible Histories books "Awesome Egyptians" and "Awful Egyptians" for her class. She really enjoyed them. 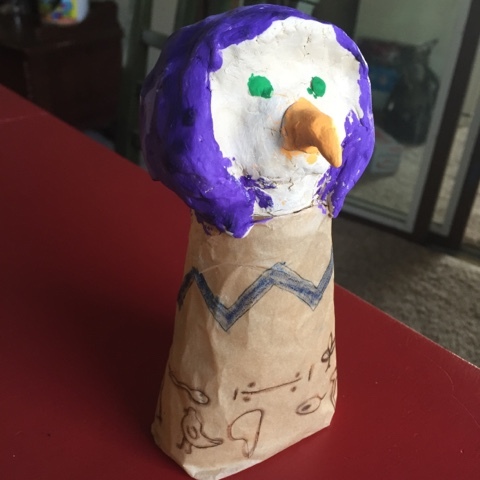 One of her class assignments was to make a canonic jar. She chose the intestines and I am not even going to attempt to spell the name of that God! She used an empty hand soap container, covered with paper decorated with hieroglyphics. 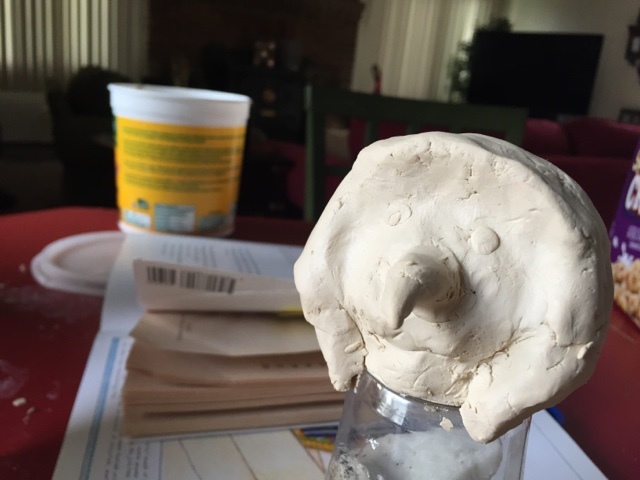 She created the head using clay. After the clay dried, she painted it and uploaded a picture of her finished product to her class forum. She had a lot of fun with this. 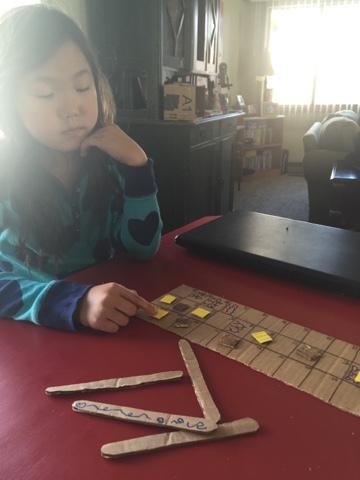 As you know, one thing we both love about Oak Meadow is the choice of hands on projects. 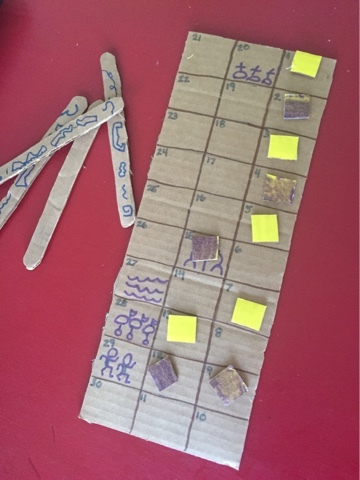 Last week A used the instruction in her book to create the Ancient game of Senet. We recycled an Amazon box for this! We had a lot of fun learning to play it while Little W took his afternoon nap! 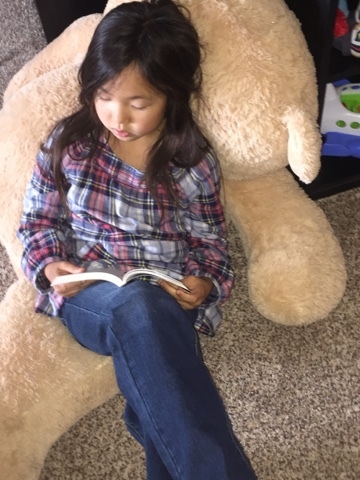 A is reading several books pertaining the this time period that are recommended as extra reading by Oak Meadow. Right now she's working her way through Mara- Daughter of the Nile. This is a book I actually remember reading over and over again growing up! Stay tuned and follow along with us as we continue to explore the ancient civilization of Egypt! On another note, we found the botany we were using to not be a good fit. We moved on to our introduce to chemistry unit study and I have ordered OakMeadow Science grade 7 to try. With homeschooling, you need to be flexible and not afraid to switch things up when something isn't working. I'll be posting more about this chsnge another day. Because of your recommendation of Oak Meadow, our ES was able to get me a copy of the 7th grade Oak Meadow curriculum. We might try it during the spring semester.